I built this . . . all by myself. I was tired of waiting for my hubs to do this task, so I did it myself. But it is probably better that I did it anyway. 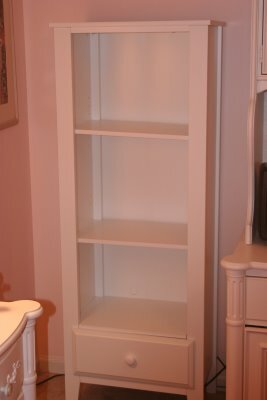 When hubs completes tasks such as this (or new bookcases for instance), he usually ends up twisting or drilling the screws in so hard that he busts through the sides. Or he pushes so hard that there is a big chip out the side or top or something like that. I had my little 'helpers' and it took us an hour. I only made one mistake . 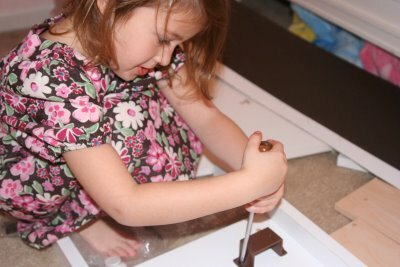 . . putting the slide bars for the drawers on the wrong sides. Of course, I didn't find out the mistake UNTIL I tried to put the drawer in! 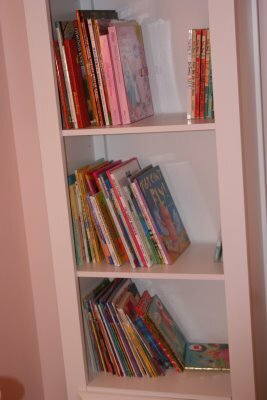 My daughter was in desperate need of a book case as her books were sitting across the top of her desk and just not working. This book case is on sale now at Tar.get!! I put it on the cart, bought it, pushed it to my car, put it in my SUV, and built it! 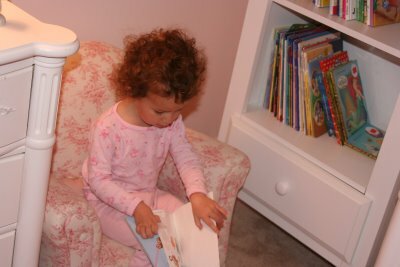 Dear Daughter was so happy to have a little reading corner in her room now. Although I think baby girl is happier! Hubs was happy too . . . and he said to me, "since you are so good at that, I have a few other things that you could do too".